At Cloud 9 we are passionate about our local produce and we want to share the best of each season. So we seek out the highest quality produce from our community to showcase on our platters. 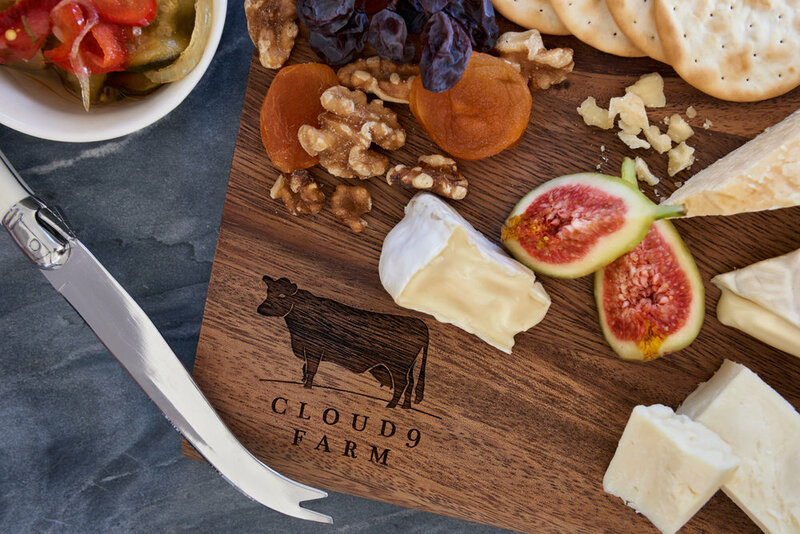 Our platters typically consist of Cloud 9 Farm cheese & other locally sourced cheese, local preserves and pickles, local cured meats such as salami, prosciutto & terrine, Australian wild olives or caper berries plus accompaniments such as dried fruit/fresh fruit & fresh bread/biscuits. Gluten Free is also available on request. These platters will change from season to season due to availability of produce and also to what is in season at the time. The platter will serve 2 people comfortably for lunch. During spring and summer you can find more fresh fruit on our platters such as pears and figs. This is also the time to sip on our Sangria which we serve during these months. With the colder months you’ll find home made chutneys and preserves featured on our Farmhouse Platters. During this period you can also enjoy our special Baked Camembert and Mulled Wine while you warm yourself by our toasty fire.